New Price! 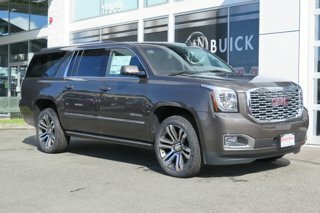 White Frost 2019 GMC Yukon Denali 4WD 10-Speed Automatic with Overdrive EcoTec3 6.2L V8 4WD. All new vehicles purchased at Seaview Include OIL CHANGES FOR LIFE! Seaview is family owned and operated, serving the community for 4 generations. We work with many banks and credit unions and offer flexible financing terms to suit your budget. At Seaview we offer an easy transparent process based around fair market value. You never need to face a negotiation battle to secure a great deal. To keep up with used car demands we can often pay more for your trade! We are proud of our military and offer GM Military Discount as well as USAA. Out of the area? Please ask about delivery options! Recent Arrival! Seaview Exclusive Pricing! Valid for vehicles from dealer stock only. Seaview Down Payment assistance ($1000 for financing with Seaview preferred lender) and Seaview Trade Assistance ($1000, must trade 1999 or newer passenger car, truck, or SUV). Other discounts may apply. Recent Arrival!